When it comes to the choice of robust and industrial-strength BUS interfaces, HARTING relies on the D-Sub InduCom. As early as 2014, the technology group successfully introduced to the market the 50- and 37-pole housing versions of the InduCom Easy Access series with three straight cable-entry points. This Easy Access family of housings is now completed by the implementation of 25, 15 and 9-pole versions with two straight cable entries. The EasyAccess moniker was added because the user with straight cable inputs is given easier and faster assembly even under cramped space conditions. The wide range of standard InduCom housings for 9, 15, 25, 37 and 50 poles means it was already possible to use three cable entries. However, two of the cable entries are located on the side, making it difficult to access the locking screws with a tool. Consequently, it is necessary to place the housings next to each other at a certain distance to enable locking and unlocking. With the 37- and 50-pole Easy Access housings with three straight cable entries, the locking screws are more easily accessible and the housings can thus be sited much more densely next to one another, which significantly facilitates assembly. 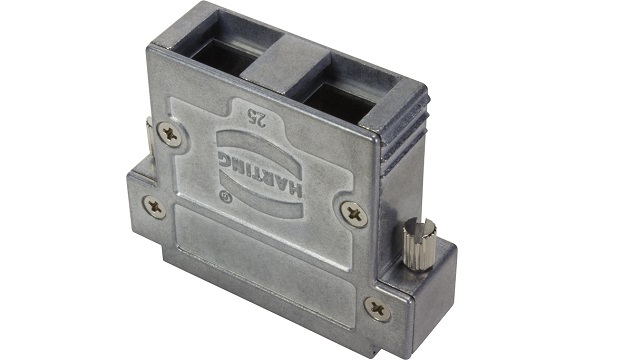 The standard housings with 15 and 9 poles offer only a straight cable entry.The new versions in 25, 15 and 9 poles now offer two straight cable entries in combination with easy accessibility to the locking screws, thus permitting the housings to be placed in very close proximity to one another. This development echoes the trend of miniaturisation and offers the customer valuable space savings in its application.